Tungnath is the second temple of Panch Kedar and it is located in the Tungnath range of Rudraprayag District in Uttrakhand, India. 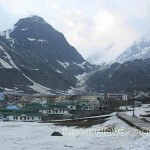 It is the highest temple of Lord Shiva in the world, second is Kedarnath. 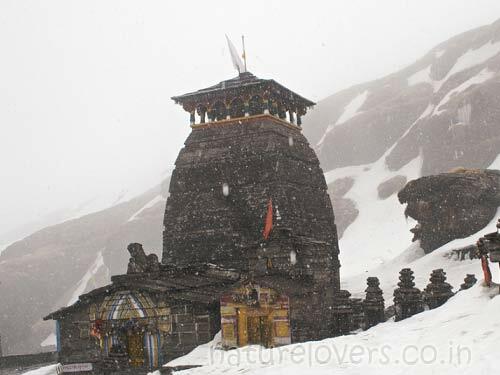 Tungnath means Lord of the peaks and the mountains of Tungnath forms the Valleys of Mandakini and Alaknanda rivers. Tungnath Temple is located below the Chandrashila peak. 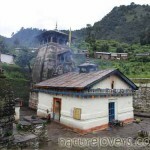 It is situated at an altitude of 3,680 m (12,073 ft) above sea level in the Rudraprayag District of Uttrakhand. Tungnath Legend was built by Pandvas, the heroes of epic Mahabharata. As they killed their own relatives and brothers n the war of Mahabharata. So they wanted to get pardoned by Lord Shiva as Vyas Rishi told them that Lord Shiva resides in Himalayas with Devi Gori so they started finding him in the Himalayan range but God Shiv under grounded as a bull. Because Lord Shiva didn’t wanted to meet them as he considered Pandvas had done a sin. 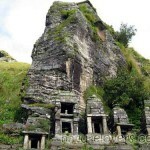 Then after getting under grounded Lord Shiva appeared at five different places of Panch Kedar. It is the place where the hands were seen, hunch was seen in Kedarnath, head reappeared at Rudranath, navel and stomach at Madhyamaheshwar, and hair at Kalpeshwar. So Pandvas built five temples at these five places known as Panch Kedar to seek the blessings of Lord Shiva. 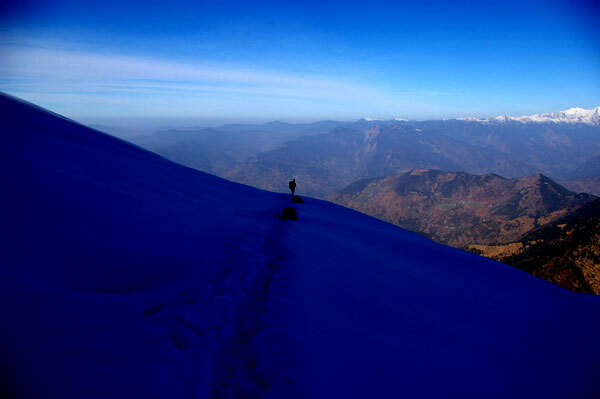 It is a good destination for trekkers also. So the trek starts from Chopta(4Kms Trek). You can reach Chopta from Delhi via Devprayag, Srinagar and Rudraprayag for this route you have to reach Rishikesh firstly from Delhi. Rishikesh is 241 km away from Chopta and Delhi is 250.6 kms. Chandrashila Peak is only 2Kms away from Tungnath you can visit there It’s a beautiful place to visit. From Chandrashila peak, you can see the snow peaks of Nanda Devi, Kedarnath, Panch Chuli, Chaukhamba, Banderpoonch and Neelkanth and the Garhwal valley. So this season go and visit Tungnath as it’s a famous trekking destination and a beautiful place too.